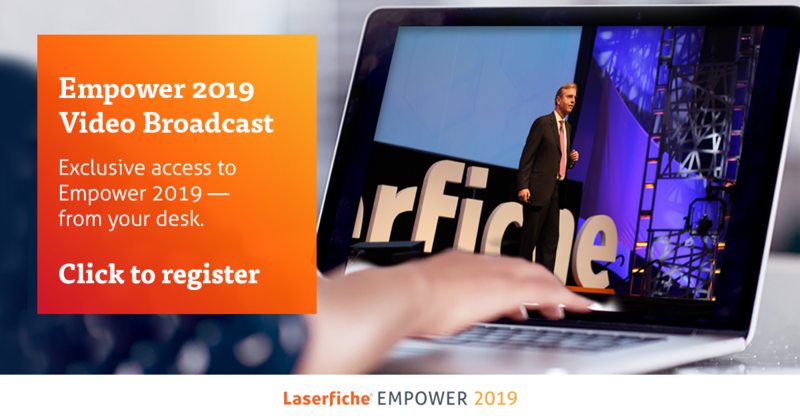 Laserfiche Empower 2019 is now underway in Long Beach, CA. We’re having a great time catching up with attendees, learning from industry experts, and enjoying some of the exciting new activities at the conference this year. 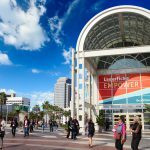 Here are some of our highlights from #LFEmpower Day 1. 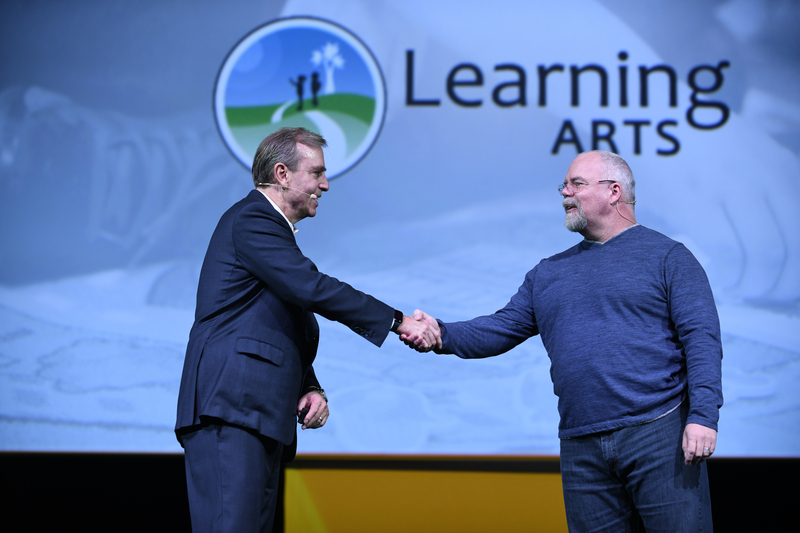 Laserfiche CEO Chris Wacker welcomed Learning ARTS President and CEO Dr. Will Brandon to the Empower stage to share his organization’s Laserfiche success story. BPA and RPA…serve to reduce laborious and error prone tasks, but they also bring us into the third and most important area of automation─data analytics and machine learning; the final and most rewarding stage of the move away from hard copy business processes. 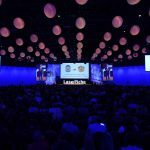 Chris elaborated on some of the innovative technologies Laserfiche will be releasing, including robotic process automation, data analytics and machine learning features. With these enhancements, “we can make data-driven decisions, and the sooner we begin collecting it, a more complete and accurate picture can appear of the organizations we are managing,” he said. Chris also shared examples of organizations across industries using Laserfiche to improve the lives of their employees and the communities they serve, including The Housing Authority of the County of Los Angeles, Texas A&M University System, Long Beach Police Department and Learning ARTS. Laserfiche awarded Angela Jordan, Dept. Head Secretary for Building & Planning at Cowlitz County, Washington, the 2018 Tom Wayman Leadership Award. Jordan, center, is pictured with her team members as well as Laserfiche CEO Chris Wacker and Executive VP Peter Wayman. 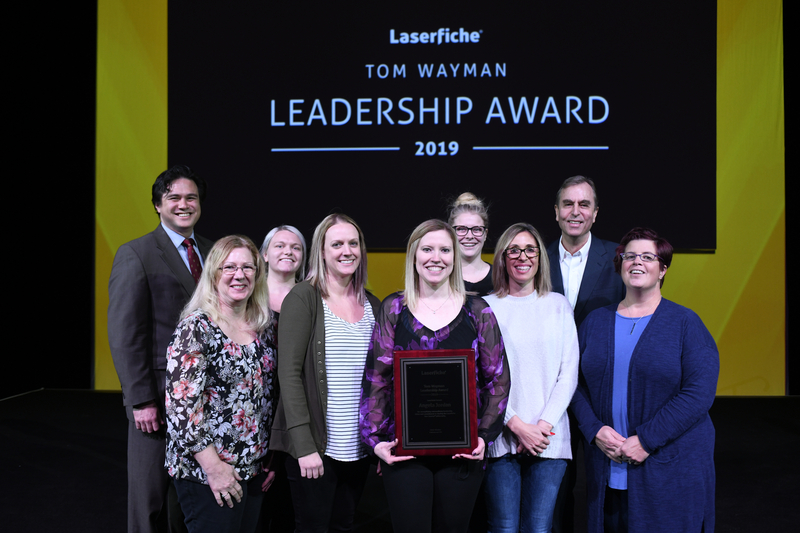 Each year, we honor the most inspiring individuals who have empowered their organizations through the creative use of Laserfiche. We were pleased to present the 2018 Tom Wayman Award to Angela Jordan of Cowlitz County, Washington, for exemplifying extraordinary leadership, vision and commitment to sharing the Run Smarter® philosophy. In addition to driving high-impact digital initiatives at Cowlitz County, Jordan has differentiated herself as a leader within the Laserfiche community. She regularly shares her advanced knowledge of the software at user groups and at conferences, inspiring other tech leaders to think outside-the-box to reinvent processes and transform their organizations. The 2018 Nien-Ling Wacker Award, which honors individuals who executives who have the foresight and vision to drive transformation throughout their organizations by leveraging Laserfiche, was presented to David Sison of Mitsui Sumitomo, a division of MS&AD Insurance Group. Sison successfully led an enterprise-wide Laserfiche deployment at Mitsui Sumitomo that has enabled the organization to automate key business processes including insurance claims processing, policy underwriting, employee onboarding and accounts payable. To learn more about how organizations use Laserfiche to increase efficiency and improve the lives of employees and constituents, visit our case studies page. 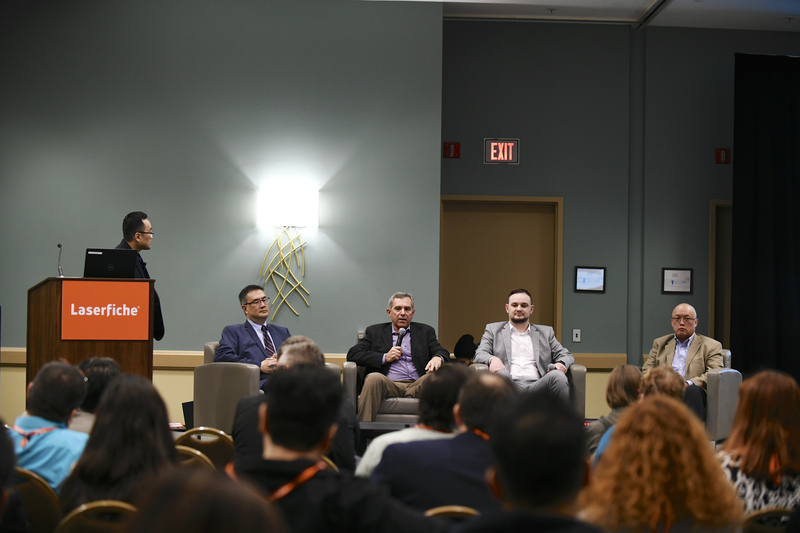 One of a number of engaging panels from Day 1 featured Laserfiche’s Thomas Phelps discussing data analytics across industries with Arthur Chin of CalCPA, Al Castro of Angels Baseball, Charles Sims of LA Clippers, and Sam Quon of City of Lansing, MI. Transforming Los Angeles: From Recession Bust to Olympic Boom with Ted Ross, City of Los Angeles CIO and Thomas Phelps, Laserfiche CIO. Building Your Personal Brand with Melissa Henley, Director of Marketing Communications at Laserfiche. 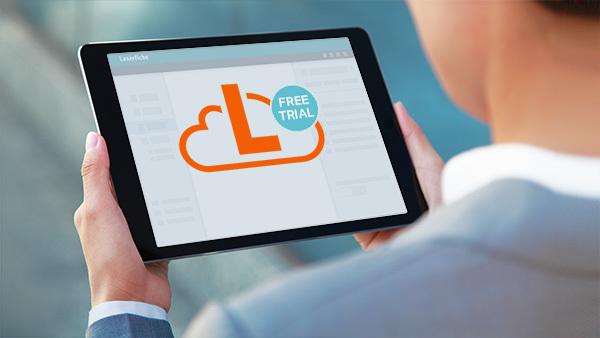 Search Beyond the Laserfiche Repository with Federated Search with Andrew Chan and Leon Fu, Technical Product Managers at Laserfiche. Who Wants to be a Millionaire: Laserfiche Edition with Melissa Henley, Mike Wells Desktop Services Manager at Chesterfield County, VA, Amy Johnson of Senior System Administrator at Hanover County, and Tim Nolan, Senior Applications Manager at Collin County, TX. We’ll be offering more exciting sessions throughout the week. Click here to see the conference agenda and choose additional classes. 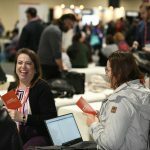 Unable to attend Empower 2019? Watch keynotes, presentation sessions, interviews with industry experts and more—all straight from your desk. Register to watch our video broadcast of Empower 2019. 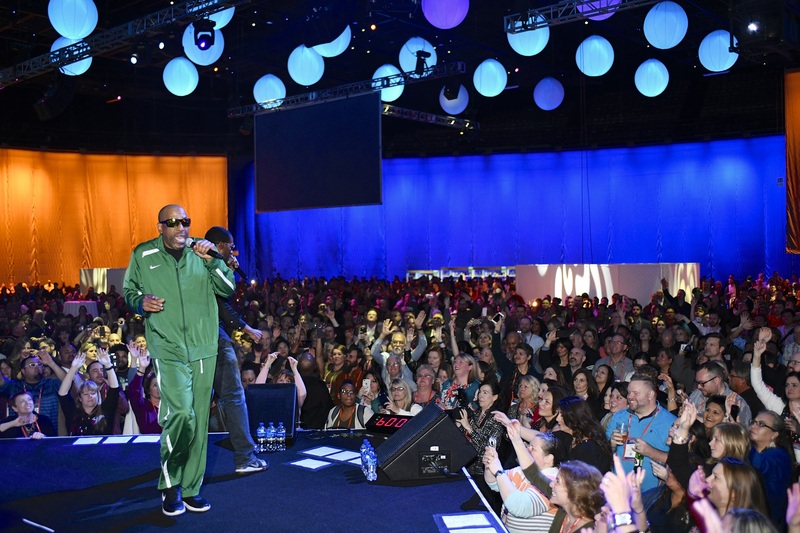 Tone Loc and fellow performers graced the Empower After Hours stage on Day 1 of the conference! After a full day of Laserfiche learning, it was time to unwind to the tunes of Tommy Tutone, Uncle Kracker and Tone Loc! Conference attendees gathered in the Pacific Ballroom of the Long Beach Convention Center to enjoy delicious food and some incredible live entertainment. The best part of the night was catching up with our Laserfiche community—our people sure know how to party! Day 2 of Empower 2019 will be another exciting opportunity for learning, networking and challenging ourselves to be visionaries in our organizations. We look forward to enjoying it with the Laserfiche community! Register here to experience Empower 2019 highlights from your desktop or mobile in our video broadcast of the conference.